In this day and age, it seems like it happens every other week in almost every single sport. From new rules, which only benefit the athlete, to commits making decisions earlier and earlier, transferring is an almost inevitable part of today’s college athletics. That’s especially true in volleyball where, with some exceptions, players typically don’t have to sit out a year if they want to change schools. 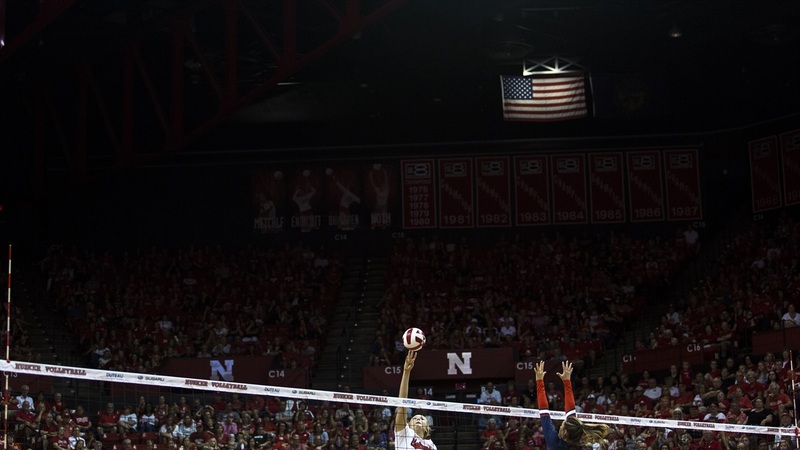 As most of you heard, Lexi Sun, a top-ranked outside hitter who played her first year at Texas, decided that she wanted to transfer and chose Nebraska as her new home. Just a couple of years ago, I made my way out to UCLA for my first year and then decided to head back to “The Good Life.” Even though there are different reasons for Lexi leaving Texas and me leaving UCLA, I do think there are probably some similarities, too. I can’t speak for Lexi, but I can speak for myself. These are some of the biggest reasons why I transferred, and why I believe others transfer as well. When you are in high school, sometimes middle school, and trying to make a decision on where you would like to play college volleyball, education is often the last thing on your mind. You probably haven’t decided on what you want to major in, and you probably aren’t looking into class schedules and certain academic paths that schools offer. Your parents may think about it and talk to you about it, but it is out of sight, out of mind for most girls. For example, when I got to UCLA there were certain classes and certain majors that I couldn’t take or be a part of due to our practice schedule. However, at Nebraska I was able to find a major I was excited about and a schedule that worked with practices, games, weights and all of my other time commitments. I bet if you asked transfers why they decided to make a change, academic opportunities would be a big reason why for many of them. Every program has a different culture. Some are more laid back, some are more structured. I believe it begins with the head coach and works its way down to the players. Some coaches demand a lot from their players and others don’t. Some coaches pull you immediately when you make a mistake out on the court, others let you work through those errors. Some like to play younger players, some like to play older players. Some don’t even care about your age; if you are good, then you are out on the court. Some coaches specialize in building an all-around player and preparing them for the future, others just want the best player on the court and if that means subbing them out of the front or back row then they will do that. There are coaches who focus on drills outside of the box like mindfulness and yoga, others just care about the volleyball fundamentals. I could go on and on in this category, but the bottom line is the head coach establishes the culture. You either fit in and enjoy every minute of it, or the vibe doesn’t quite fit your style and you are dreading every minute of it. Even though it may be difficult to understand the vibe on a team after only one or two visits as a recruit or transfer, if you watch what happens during matches or a practice you should be able to see more than you think. Look for coaching characteristics and how the players interact. That says a lot about a program and the culture it has established. One of the other big reasons players leave one school for another is due to the fan support. I remember having a huge match at Pauley Pavilion (UCLA’s gym), and we probably had about 500 fans there. And that was on a good night. Then coming to Nebraska and playing in front of 4,000-plus fans every night, no matter who the opponent was, that just couldn’t be matched. As much as we say it here, there truly is no place like Nebraska. The support here has helped fund a state-of-the-art weight room, sand volleyball court and now indoor volleyball facility. The locker room is pristine, the players get to have nutritious meals at the training table, which are made specifically for athletes. You have fans supporting you at every single match, home and away. You could be walking through the grocery store and someone may stop you for an autograph or just to say how much they love watching you play. Even though I graduated more than five years ago, people still come up to me and make comments. Once a Husker, always a Husker. It doesn’t matter if you transfer here or committed here from the beginning. The support is undeniable and can’t compete with any other program in the country. The culture is the best there is with Coach John Cook leading the charge. And they will always try to work around your schedule to get you in the classes that are important to you and the major you want. It’s a really appealing package to players looking to make a change, and something even some of the best programs in the country have a hard time matching.